Is your lawn looking worse for wear? Extreme temperatures experienced this year both in winter and summer, along with periods of summer drought, have taken a toll on Piedmont lawns. Lawns that were already stressed due to soil issues such as compaction, pH imbalance, and low nutrient levels, are showing the most severe damage. Thin turf, bare patches, and a proliferation of weeds are all signs your lawn could use some extra care. Take heed – fall is the time to undertake several important lawn maintenance tasks that can put your yard back on the path to health and vigor. One of the most common mistakes is trying to grow turf in areas that are too shady. All types of turfgrass need sun, even those promoted as shade tolerant. Shade intensity is as important as the amount of time the area is shaded each day. Areas where over 50% of sunlight is prevented from reaching the ground all day, due to trees, buildings or other obstructions, are simply too shady for any turf to thrive. Solutions for shady areas include mulching to create natural areas or planting shade tolerant plants such as Lenten rose (Helleborus), ajuga, ferns, and plum yew (Cephalotaxus). Another location turf is doomed to failure is any area that receives repeated and concentrated traffic. Turfgrasses can tolerate being walked upon but have their limit. Narrow paths that concentrate traffic are not a good location for turf. Repeatedly walking upon the same area over and over compacts the soil and slows the recovery rate of the grass. A better option for areas that receive heavy traffic is to install a path of mulch, rock, or stepping stones. If your lawn receives plenty of sun, yet the turf still struggles, investigate the soil conditions. Compaction is one of the most common causes of poor turf performance. Clay soils are easily compacted, especially during home construction. Builders will often spread a few inches of topsoil on top of compacted clay soils to help grass establish but this does not provide a sufficient root zone for healthy turf. You can check for compaction by pushing a shovel into the soil. If it is hard for you push the shovel in at least six inches deep, it will also be hard for turf roots to grow adequately. Whether or not your lawn should be fertilized in fall depends on what type of turf you have and your soil test results. Grasses should be fertilized with nitrogen when they are actively growing. Cool season lawns such as tall fescue that grow during the fall and spring are fertilized with nitrogen in September, November, and February. Warm season grasses such as zoysia grow during the summer and are fertilized between April and August. 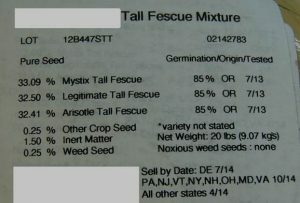 · Name of grass cultivars included in the mix (for example, Mystix, Legitimate, and Arisotle on this label) – look for varieties recommended by NCSU <http://www.turffiles.ncsu.edu/Files/Documents/Presentations/2014%20Recommended%20Tall%20Fescue%20Cultivars.pdf> based on their turf variety trials. Top performers include Wolfpack II, Talladega, Faith, 3rd Millenium, Rebel IV, and Gazelle II. · Germination % (85% on this label for all three varieties) – higher germination rates mean more seeds come up. 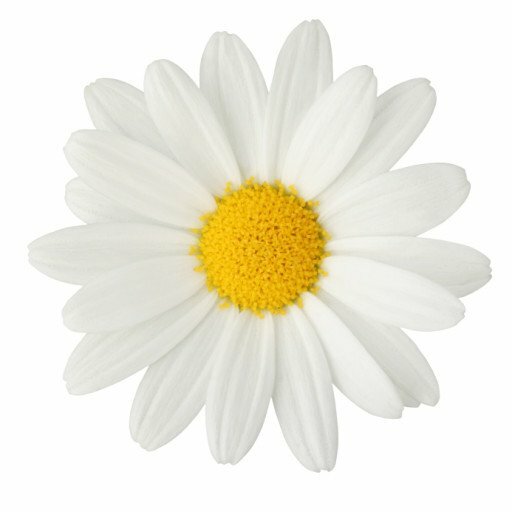 · % Weed Seed – choose mixes with very low weed seed levels (less than 0.25%). · Sell by Date – fresher seed generally have higher germination rates. Choose seeds packaged for sale this year or next year. Avoid seed that have already passed the sale by date. Charlotte D. Glen is the Agriculture Agent – Horticulture for NC Cooperative Extension, Chatham County Center. Contact her at [email protected] or 919-542-8202.